We are all familiar with audio compression in terms of reducing audio file size to the size that enables us to store a great number of files on a single device. In that context, compressing is often related to low audio quality as the sound quality has to be reduced in order to achieve the necessary file size. 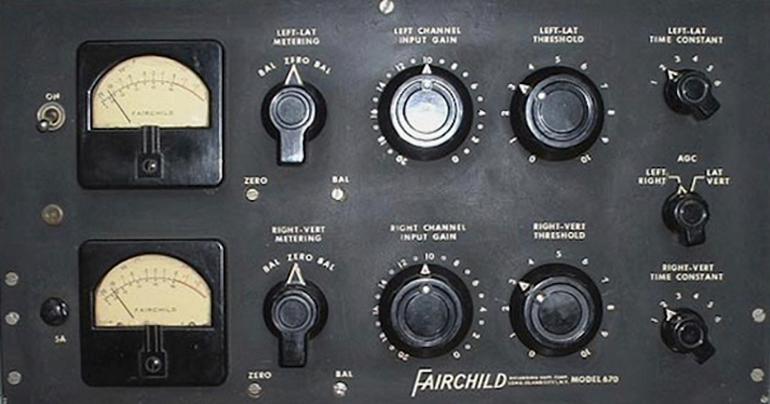 However, audio compression is a very complex process that is often misunderstood. Audio compression tools are very useful and working with them is very interesting. This is the main reason why we have decided to write this article and explain the basics of audio compression so that you can get a better understanding of the entire process and maybe even start working with the respective tools and adjust the sound quality and size of the audio file to your own taste/needs. Audio compressors come in different forms (as hardware, software, digital or analog compressors) and they are used to control the dynamic range of a melody, usually in order to make it sound more pleasant for listening and more natural as well. They are used to polish all the roughness and all the imperfections. When we say that compressors control the dynamic range, we actually mean that compressors reduce it or lower it down. They reduce the range or span between the quietest/softest and the loudest sounds (parts) of a song. This means that compressors affect the loudness of every part and change and adjust them if necessary, according to the taste of the musician or listener. Compressors help regulate the volume and preserve its overall consistency by boosting the quiet parts and lowering down the loud ones when necessary. Boosting quiet signals reveals the quiet parts of the song that would otherwise stay hardly audible. Reducing louder signals prevents loud parts of the song from ruining the listening experience. That way, audio compression creates a special balance between different signals that cannot be achieved naturally. Compression is used in different ways and in different amounts depending on the part of the song, the instruments playing in that part, the vocals, etc. For example, you can use more aggressive compression on a drum section in order to make the sound punchier but you would definitely use less compression on the part played by string instruments. Apart from the previously mentioned compressors and types of compression, we have to mention one more type called natural compression. This compression doesn’t occur on purpose or as a consequence of the work of sound engineers. In fact, it occurs because of signal distortion or, as some call it, tape saturation. It may sound strange but most of the recordings have it, even if people can hardly hear it. Every compressor is different and we can’t really explain every control button and every feature you can find on different compressors but we’ve tried to describe the purpose of some common features and controls you can find on every compressor. This is the point where the process of compression actually starts. It is previously determined and set so that compression can’t start before the signal reaches this pre-set loudness. For example, if we set the threshold at -10 dB, all the signals below this value won’t be compressed and all the signals above the value will. This parameter defines how much compression is applied to the signal. They are expressed in dB. Depending on the type of the compressor and its manufacturer, you can use different compression ratios. For example, 1:1 ratio is the lowest one and it means that there is no attenuation. 2:1 ratio means that every signal that exceeds the previously set threshold of 2 dB, will be lowered down to 1 dB above the threshold. 3:1, 4:1, and 5:1 ratios are considered moderate to medium compression ratios, while serious compression starts at 8:1. Attack is the control used to determine how fast the compressor circuit will reach complete compression after passing the threshold level. Shorter attack time is between 20 and 800 microseconds (µs) while the longer attack time spans from 10 to 100 milliseconds (ms). The attack can also be expressed in dBs, not only in seconds. Release is quite similar to attack control but completely opposite. Release is the control that determines how fast the compression process ends after the signal lowers below the threshold level and reaches its original non-compressed condition. The release time can be expressed in seconds or decibels. The main goal is to achieve the shortest possible release time without creating ‘’pumping’’ effect. This control determines how the compressor reacts to non-compressed to compressed state changes. The term hard knee is used when the compression starts immediately and term soft knee is used when the compression starts slowly and gradually. Output gain is also called makeup gain and it is used to boost the signal level after the end of compression because the process can significantly lower the recording volume. Here are the most popular and most common types of audio compressors used in different situations and for different purposes. These compressors have integrated circuits and they are extremely popular because they offer very precise control over the compression process with minimum distortion. Their circuits have integrated chips with transistors that can track the incoming signal. They are commonly used in studios because they deliver very clean and high-quality sound at the end of compression. As the name implies, these compressors use so-called optical compression. They have light sensitive circuits, they use light sources such as light bulbs or LED lights that work together with their resistors. These compressors react slower than other compressors creating a very natural and smooth sound. They work all the time and not only when the threshold level is reached. The light source brightens or dims depending on the input level and the resistor reacts to the light brightness and adjusts the gain to it. These compressors have a very wide range. OTA compressors are very similar to VCA compressors but their output is not voltage but alternating current. These compressors have special circuits with CA3080 chips or the newer one LM13700. They are used for the compression of guitar parts. These compressors use transistors and they are also very similar to VCA compressors. They manage to emulate tubes and they add some additional color to the sound making it more pleasant for listening. They are also very reliable, they have higher signal to noise ratios, and they are great for working with drums and vocals. Valve compressors are usually similar to optical compressors but they can work in any of the previously mentioned ways. They are very popular because they use their valves located in the amplifier circuit to make warm and creamy sound, very pleasant for listeners ears. All compressors have similar working principles no matter if they are software or hardware ones. The first thing you should do is to set the channel where you want to complete the compression and adjust the threshold level. After that, you should determine the compression ratio depending on the effect you want to get. If you want to polish the vocals or drum sessions, you should set the ratio at 2:1; if you want to work on bass guitar parts, the ratio shall be at least 4:1, while electric guitar sounds better at ratios from 2:1 to 6:1. The ratio and threshold values shall be adjusted just like the attack and release times. Shorter attack time is good for rap music while longer attack time is better for mastering and buss compression. The output controls are used to control the signal and prevent the recording from sounding too noisy, while knee value determines how intensive the compression start will be (hard knee works great with bass guitars, drums or percussions, while the soft knee is better for vocals and some guitars). However, when it comes to compression, it’s not advisable to stick to the learned rules. You can find some tips and tricks that could help you understand the process better but the point is to experiment, try out some new things and believe in your personal affinities and taste. You should have in mind one thing – try not to over-compress your recordings. Moderate compression can make them sound better but too much compression can squeeze all the juice out of them and make them unpleasant for listening.